Ever get inspired to write poetry by the things you see in Pirate101? Perhaps you’ll enjoy today’s KingsIsle blog post about the poetry and Creativity of KingsIsle‘s Executive Producer, William Haskins. There have been many images within the spiral that have inspired our family, with stories, adventures and poems of our own as well. Like this one here of Port Regal, Catbeard and the companion promotion of our dear friend Bonnie Anne. we drift into a cave of darkness. and crew of humorous likeness. in search of treasure and news. It promises to end with lit fuse. our battle is right and just. 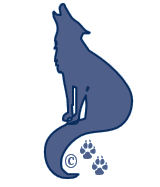 .© 2014 A Pirates Portal; Springwolf, D.D., Ph.D. All Rights Reserved. This entry was posted on May 1, 2014, in News and tagged games, Kid friendly, kid safe, news, newsletter, online, Pirate101, Pirates. Bookmark the permalink.